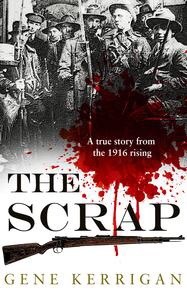 The Scrap is an account of the 1916 Rebellion. Like many other fine accounts, such as Charles Townshend’s, it draws heavily on the archives of the Irish Bureau of Military History, which years after the Irish War of Independence gathered the oral testimony of the survivors. But where other accounts seek to tell the story of the overall battle, Kerrigan’s focus is on a relatively small group of participants, principally the members of F Company of the Irish Volunteers. This perspective reminded me of Cornelius Ryan’s frontline account of D-Day, The Longest Day. The result is a hugely rich work, which offers, at least to me, a whole array of new detail and insights on the fighting. For example I never knew that Oscar Traynor, a future commander of the Dublin Brigade of the IRA, had been professional goalkeeper for Belfast Celtic. 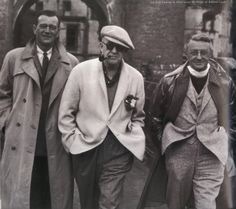 Or that Arthur Shields, the actor who was a regular member of John Ford’s company perhaps most famously playing the Church of Ireland vicar in The Quiet Man, was a veteran of the 1916 Rising. Or that the rebels had made radio broadcasts from O’Connell “Sacksville” Street to announce the Irish Republic to the world. In the midst of this there is further important detail on aspects of the fighting including initial clashes in the north of the city around Fairview, at the City Hall, and a worm’s eye view of the desperate fighting around Henry Street in the final hours of the Rebellion. The book also throws interesting light on the actions and decisions of the leaders during the Rising, particular Pearse, Connolly and McDermott. Kerrigan does not shy away from the horrors of the battle either. In one disturbing passage a medic examines the head of an injured child in the darkness, accidentally running his fingers across her mouth and feeling her teeth. When a light is brought he finds that he has actually run his hand across a gaping wound in the dying child’s head. Gene Kerrigan is a legendary journalist and makes no attempt to dress this book up as academic history: there are no footnotes, for example. He is also an exceptionally gifted writer and this is a remarkable and arresting contribution to the literature on the1916 Rebellion, giving a strong sense not just of what happened, but what it was like to be there.